"If turning wasn't fun, why would we throw wood at our face at 25 miles an hour?" Welcome to my webpage. 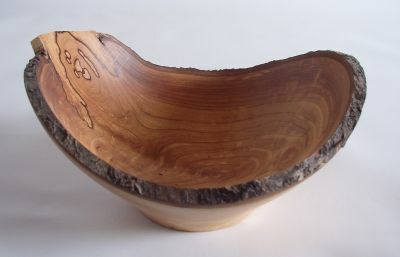 I am a part time woodturner and hope to give back to the wood turning community some of what I have learned and am learning. One of my peculiarities is the enjoyment of making many of my own tools and I hope this may be helpful to some of the beginning turners. I have always been around wood. My paternal grandfather started the Christmas Tree industry in Nova Scotia and worked lumber, pulp, and firewood. Dad did the same although he became a school teacher as did mom. We grew up around axes, chain saws and tools of all kinds. Carpentry and a bit of cabinetry was just something everyone did. When my son wanted an electric guitar, we picked out the wood and built it. Turning has facinated me since I first saw it. One day I bought a lathe and began an addiction. At present I live with my family in Valley, just outside Truro, Nova Scotia, Canada and pastor a small Baptist church about an hour and a half drive away. The area is known for its agriculture and for its woods. Several of my congregation work in the lumber or logging industry and have been known to provide me with burls and other wood. I was a juried member of the New Brunswick Crafts Council which is known for excellence in many art forms. 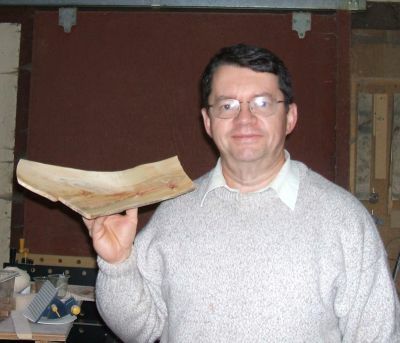 In addition I am a member of the Nova Woodturners Guild, the Canadian Association of Woodturners, and the American Association of Woodturners. 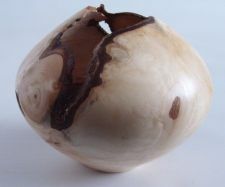 To enhance the pleasure of woodturning I would recommend joining a local club and a national association. Turners like to share their expertise and see others grow in this enthusiasm.